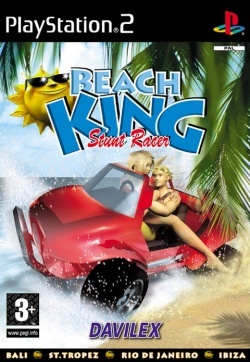 Game description: Get ready for total action on the world's hottest beaches! Sit behind the wheel of an ultra-cool vehicle, and get ready for heart-stopping, jaw-dropping, stomach-churning maneuvers. Perform killer stunts like the Hurricane Combo, Solar Kick-flip and Twisted Impossible. Take control, play it cool and s if you have what it takes to be crowned "King of the Beach"! This page was last edited on 5 December 2015, at 10:17.